The Golden Knight monoliths are in position outside the pavilion. 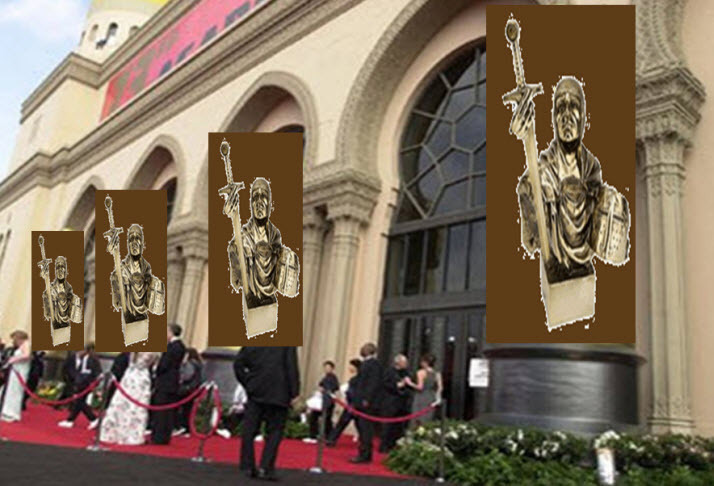 The crowds are already forming for this Saturday’s Round Table award ceremony. We’ll be transmitting the festivities live starting at 10:30 AM from the red carpet. Six-of-seven of these Round Table regulars BEAT THE MARKET in 2013: Ken Kavula, Cy Lynch, Hugh McManus, Mark Robertson, Guest Damsels (Kim Butcher, Susan Maciolek, Anne Manning), Guest Knights (Herb Lemcool, Matt Spielman, Nick Stratigos) and Audience Selections. Who will win the following awards?